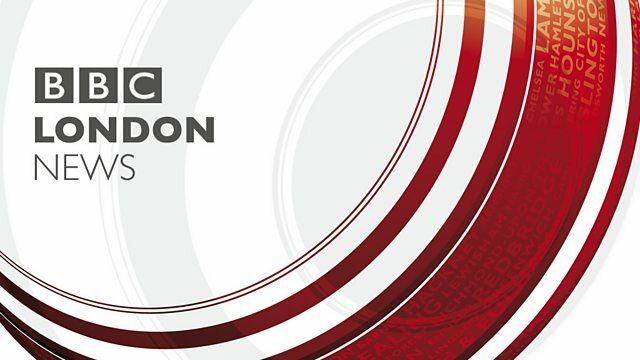 Good evening and welcome to BBC London News. action - to try to stop any more young lives being lost. school in Kensal Rise - where he was stabbed on Monday. They paid tribute to a much loved son, grandson, friend and cousin. He touched a lot of people, all different age groups. It's just so sad for anybody to lose their child like that. You send your children to school and you expect them to come home. But you don't expect them to be coming home in a body bag. The mood was one of sadness and disbelief. Community's missing, that's what I find. Hands up, who is going to make the change? A change Quamari Barnes's family hope will become his legacy. sexually assaulted on buses in south-east London. Police say there could be more victims yet to to come forward. by her sons Prince Harry and the Duke of Cambridge. And where people left thousands of tributes when she died in 1997.
technology is making their lives a misery. the amount of time planes are flying above residents' homes. dominates the local environment, registering over 60 decibels. less fuel while flying over the capital. parts of south and east London intensified. concerns have to be taken into consideration as well. One area affected by the increase was Leytonstone. Author Saci Lloyd has lived in the area for over 12 years. So, we're on the edge of Epping Forest. And the sound is very, very noticeable. On some days, there's an aircraft flying over every 50 seconds. I have friends installing triple glazing. I know quite a number of people are considering moving out of the area. that claims spend less time flying over residential areas such as this. fly is likely to be in many residents' minds. Let's get the weather now, here's Wendy Hurrell. but that will keep the temperature up too, between 5 and 7 degrees. There won't be much that shifts that cloud throughout the afternoon. with spells of rain from time to time. We'll be back later though at 1020pm. Till then - have a very good evening.